The book deals with the dynamics and growth of a violent 21st century communist rebellion initiated in Nepal by the Communist Party of Nepal (Maoist) – CPN(M). It contextualizes and explains why and how a violent Maoist insurgency grew in Nepal after the end of the Cold War, in contrast to the decline of other radical communist movements in most parts of the world. Scholars from diverse disciplinary backgrounds employ a wide variety of approaches and methods to unravel different aspects of the rebellion. Individual chapters analyze the different causes of the insurgency, factors that contributed to its growth, the organization, agency, ideology and strategies employed by the rebels and the state, and the consequences of the insurgency. 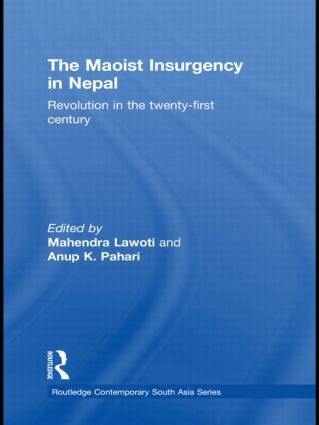 New issues are analysed in conjunction with the insurgency, such as the role of the Maoist student organization, Maoist's cultural troupes, the organization and strategies of the People's Army and the Royal Nepal Army, indoctrination and recruitment of rebels, and international factors. Based on original field work and a thorough analysis of empirical data, this book fills an existing gap in academic analyses of the insurgency in Nepal.